Home > Blog > What makes something go viral? Despite what you might be told by your doctors, viral is a goal… for some people at least. Think of most industries and the words ‘contagious’ or ‘viral’ don’t exactly have positive connotations. 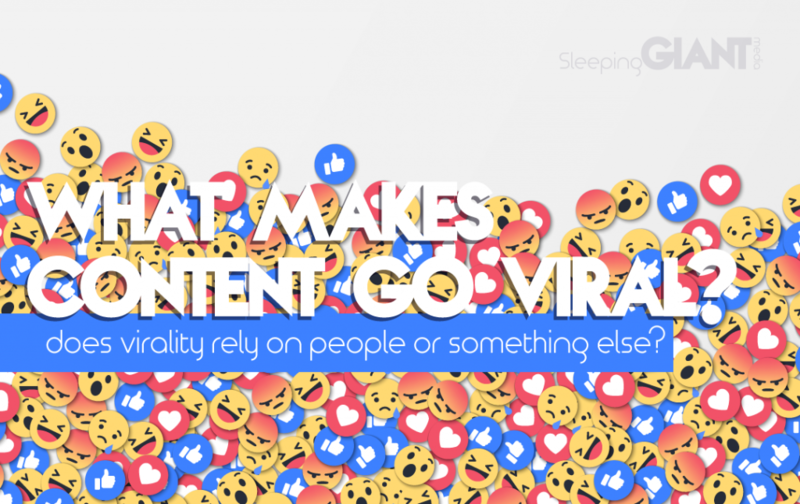 But in the weird and wonderful world of marketing, viral is the goal for tons of people creating content and looking to make their mark. As with many things in life, one of the reasons so many people lust after virality is because it’s not easy to achieve. That elusive viral status plays hard to get, leading many to feel that achieving it comes with the same level of mythicality as unicorns or flying farmyard animals. But that doesn’t have to be the case. Jonah Berger, a marketing professor in Washington DC, wrote a book called Contagious, which talks about the six key factors that can influence things getting shared – or going viral. He lists things like practical value and emotions as playing a part in what makes certain content popular, saying that “the more we care about a piece of information or the more we’re feeling physiologically aroused, the more likely we are to pass something on”. Generally, people are motivated by positive emotions, like amusement and surprise, although nostalgia and disgust can also prove particularly powerful – if you’ve seen any of the ‘Abducted in Plain Sight’ memes lately, you’ll see how motivating disgust can be. Another key factor is social currency or the idea that people talk about things to make themselves look good, as well as triggers – essentially we like to talk about things that are now, or that are on the top of our heads. Berger also talks about stories and the idea that people are more likely to share things that tap into a story or narrative. Maybe we relate to it, maybe it interests us – but whatever the appeal, stories get people hitting the ‘share’ button. Most of these factors tap into two key psychological theories: information gap theory, and novelty seeking. Information gap theory plays on the concept that when a person is confronted by something they don’t know the answer to, they’ll go to all sorts of lengths to fill that knowledge gap. Prime example? Buzzfeed quizzes. Last year, one article reported that a Buzzfeed quiz titled “which city should you actually live in?” had been taken more than 22 million times. 22 million people were desperate to find out where they should actually live. Curiosity at its finest. And yes, I did the quiz while writing this. Portland, in case you were wondering. Curiosity also plays into the second theory – novelty seeking. This touches on the idea that our innocent little brains are tired of seeing the same things over and over, and therefore actively reward us for seeking out new things. Spotting something new can motivate people – and on social media, or the internet generally, this shiny new reward is only ever a click away. Why does going viral matter? Everyone who’s anyone in the marketing world has long waffled on about its fast pace and ever-changing nature – and they’re not wrong. And content creation is one of the areas where that pace of change has become evident over the past decade. Nowadays, everyone is connected, everyone is online, and everyone is creating content – with the entry requirements for creating and publishing content online being practically non-existent anymore. This, naturally, means that we’re constantly bombarded with content everywhere we turn – from blogs and digital magazines to our favourite social networks – and we’ve had to find a way to filter out the interesting bits. That, my friends, is where viral content comes in. If you want to get technical about it, social proof theory looks to social influence when it comes to determining what’s cool or what’s funny. In layman’s terms – people look to what other people are doing, to determine what they should be doing. For most marketers, the end goal is to create content and messaging that people want to share, boosting brand awareness and getting in front of as many people as possible. Something going viral essentially does all of that hard work for you. Fancy knowing more about marketing and business? 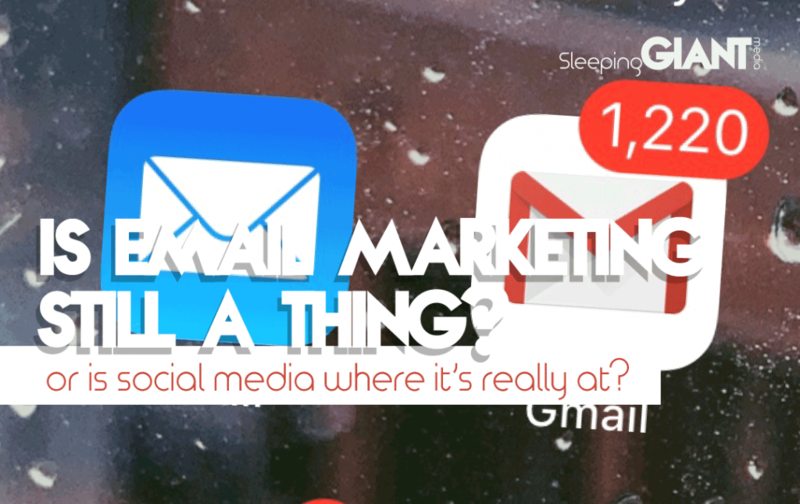 Check out this blog on email marketing and check out the services we provide as an agency to see if we can help your business become GIANT.